I had many moments this week where I wanted to bang my head against the wall. Luckily, I never did that and was able to persevere! Problems with Research - I must admit that I slacked on teaching my students how to research on the computer. This week I decided to fill this gap. We were researching Kenya for our school Olympic theme. 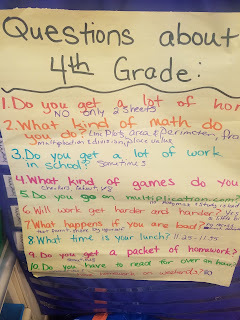 I taught my students how to do a simple Google search to find some answers to questions. Then I gave my students a basic sheet to fill out the facts they found. The first question was population. Many of my students didn't think a Google search would work. They instead went to Google Earth (which I never showed them) and decided it would be better to zoom in different parts of Kenya and count all the people they saw. One girl worried she wouldn't be able to count high enough. When I once again brought up a Google search, she said that would be cheating. Oh how I have failed! Needless to say, next week we will complete another research project. 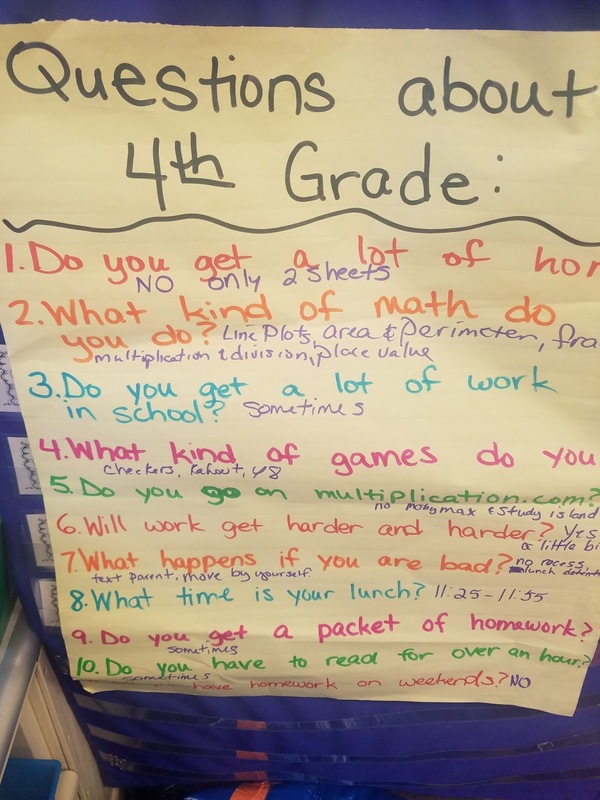 Fourth Grade Questions Answered - We made a list of questions for the fourth graders and got a response. Most of the answers were similar to what we do in third grade. This was a huge relief for my kiddos. Knowing this has also eased some of the behavior issues as well. 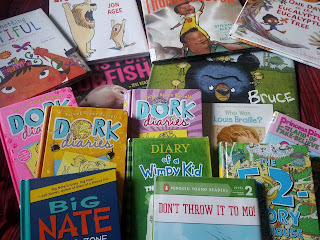 Books, Books, Books - I am lucky to have lots of connections to get more books for my classroom. My mom works in a school library and public library. At the school she works for a teacher is retiring and has given me boxes of books. My mom has also brought home tons of books the public library has weeded out (near perfect condition of the books)! Here is a small sampling of the books my mom has brought to me this past week. While I could write more, I need to go to sleep. I have big plans tomorrow...I get to see Gerry Brooks! I am super excited to see him. I can't wait to share pics.